Ms. Margret Molefe studied BA Public Management and Governance (2014) and BA Honors Public Management and Governance (2015) from University of Johannesburg. Ms. Molefe is currently doing her Master’s Degree in Comparative Local Development at the Tshwane University of Technology. 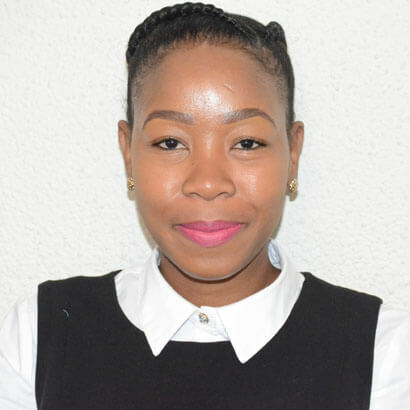 Ms. Molefe joined the Secretariat as theResearch intern under Programme Policy, Research, and Information System & Special Projects and also as a research specialist at Unisa Enterprise PTY (LTD). In 2018 she was appointed as a Senior Administration Officer under Programme Policy, Research, and Information System & Special Projects.